Talking Brains: Can neuroscience inform cognitive theories? I often get this question from cognitive scientists, usually coupled with a dubious attitude. It seems worthwhile to build a collection of papers that represent success stories in the effort to use neuroscience to constrain cognitive theories. Send me your examples via email, Twitter @gregoryhickok, or as a comment to this post and I'll update this list. How to test a cognitive theory with fMRI. Greater neural pattern similarity across repetitions is associated with better memory. What can functional imaging tell the experimental psychologist? Amnesia and the distinction between long- and short-term memory. Re the Baddeley & Warrington paper: I see no constraining of cognitive theories by neuroscience here. It is true that the amnesic patients they studied had brain damage. But the authors did not care about the nature, cause or location of this damage, and in their cognitive theorizing they were not constrained in any way by any neuroscientific data. “In this paper, the cognitive theory under consideration was A, and the neuroscientific data which constrained that theory was B”. Only papers for which both A and B can be unambiguously identified belong on this list. Applying this criterion would immediately show us that the Baddeley & Warrington paper doesn’t belong there because, though it clearly has an A, it has no B.
I am not at all sure that the other 4 papers on the list pass either. Let’s take the Walker & Hickok paper, for example. What is its A, and what is its B? There was a good back-and-forth about this topic between Coltheart and Cooper & Shallice prompted by their book. Among my favorite examples is how human and non-human neuroscience produced the biased competition view of attention and (to my mind) resolved the cognitive debate about early vs late attention. Two very different examples: O'Craven et al. (1997, Neuron) and Briggs et al. (2013, Nature). "I argue here that functional neuroimaging data - which I restrict to the haemodynamic techniques of fMRI and PET - can inform psychological theorizing, provided one assumes a "systematic" function-structure mapping in the brain. I then consider in greater detail what is meant by a "systematic" function-structure mapping and argue that, particularly for structure-to-function induction, this entails a one-to-one mapping between functional and structural units..."
So, like Kosslyn, this approach only works if there is little or no degeneracy and neural reuse. So that's no good. Max: I'm just posting what people send me. I agree, we need to evaluate each and lay this out clearly. Re: Walker & Hickok, A = a cognitive theory that has a single phonological level of representation; B = a cognitive theory that has a split phonological level corresponding to auditory and motor networks. Andrew: So I probably disagree with both you and Henson. Dan: Thanks for the additions! No you don't; his thesis is that neural data can constrain cognitive theories! If you disagree about the need for a roughly 1:1 structure:function mapping you'll need a good reason. Not that part. To be honest, my approach to this issue is more applied. I've found that looking to neural data has helped me develop new hypotheses about cognitive processes that I can then test. The dorsal-ventral model that I developed came from neural data. The auditory-motor interface (dorsal stream) models that I've been developing were neuroscience inspired. It just works in my experience. I suppose that's my reason. This question is often framed around what neuroscience can do, but I think it is also useful to think about how we formulate cognitive models. Neuroscience will have a hard time informing cognitive models that make no neural commitments. Taking Greg's example, as I understand it, the auditory-motor interface model makes a commitment to the dorsal stream. This means that neuroscience research about how the dorsal stream works will inform the auditory-motor interface model. Someone else could have developed a SLAM-type model without any neural commitments, which would make their model immune to neuroscience evidence. That's not a property of neuroscience; it's a property of the cognitive model. - Work on phonological representations, e.g., Eulitz & Lahiri (2004), Obleser, Lahiri & Eulitz (2004), Chang, Rieger et al., (2010). - BLumstein's and Dronker's work on aphasia, which has informed speech processing theories. Greg, I defined B as: "the neuroscientific data which constrained the theory B”. Your reply re B in the Wlaker & Hickok paper was that "B = a cognitive theory that has a split phonological level corresponding to auditory and motor networks" This is not a reference to any neuroscientific data. So let me ask in again: in the Walker & Hickok paper, what were the neuroscientific data -the facts about the brain - which constrained the cognitive theorising? Max: Oops. Sorry. Read it too quickly. What started me thinking about all this was an fMRI study that I did years ago: it showed activation of auditory cortex during silent naming. Hickok, G. (2000). Speech perception, conduction aphasia, and the functional neuroanatomy of language. In Y. Grodzinsky, L. Shapiro & D. Swinney (Eds. ), Language and the brain (pp. 87-104). San Diego: Academic Press. Hickok, G., & Poeppel, D. (2000). Towards a functional neuroanatomy of speech perception. Trends Cogn Sci, 4, 131-138. Buchsbaum, B., Hickok, G., & Humphries, C. (2001). Role of Left Posterior Superior Temporal Gyrus in Phonological Processing for Speech Perception and Production. Cognitive Science, 25, 663-678. Hickok, G., Buchsbaum, B., Humphries, C., & Muftuler, T. (2003). Auditory-motor interaction revealed by fMRI: Speech, music, and working memory in area Spt. Journal of Cognitive Neuroscience, 15, 673-682. Hickok, G., Okada, K., & Serences, J. T. (2009). Area Spt in the human planum temporale supports sensory-motor integration for speech processing. J Neurophysiol, 101(5), 2725-2732. Hickok, G., Houde, J., & Rong, F. (2011). Sensorimotor integration in speech processing: computational basis and neural organization. Neuron, 69(3), 407-422.
which led to Walker and Hickok developing a computational implementation of (a part of) my theory, which outperformed a long-standing cognitive/computational model of speech production (Dell's). And all of this has led me to re-think the nature of phonological processes as understood in linguistics and psycholinguistics. Hickok, G. (2014). The architecture of speech production and the role of the phoneme in speech processing. Lang Cogn Process, 29(1), 2-20. My entire career is built on looking to neuroscience and other sources as a means to constrain and shape how I think about cognitive processes. I can personally attest: it works. These 5 papers are offered as examples of “success stories in the effort to use neuroscience to constrain cognitive theories”. In order to determine whether they really do count as examples, we need to determine (a) what cognitive theories a paper is concerned with and (b) what neuroscientific data are used in that paper. I’ll consider each paper in turn. Baddeley & Warrington: this should not be on the list because it does not use neuroscientific data to constrain the cognitive theories with which it is concerned, It does not even report any neuroscientific data. Sure, the behavioural data were collected from people who had (various forms of) brain damage. But that is irrelevant because the authors ignored the nature, location etc. of the brain damage when doing their cognitive theorizing. Henson: This should not be on the list because it is a review paper which does not report any new cognitive theorizing or neuroscientific data. It does refer to a number of publications on memory which, Henson considers, are examples in which neuroscience has been used to constrain cognitive theories. It is these original research reports that might be appropriate for the list (if indeed it is clear from scrutiny of them both a) what cognitive theories a paper is concerned with and also (b) what neuroscientific data are used in the paper. Chatham and Badre: exactly the same points apply to this paper as to the Henson paper. Xue et al: lots of neuroscientific data. But were these data used to constrain the cognitive theorizing? Well, to answer that, we would first need to know what the cognitive theory is that this paper proposes. Can anyone tell me what that cognitive theory is? Note that the theories mentioned in the last sentence of the abstract are neural theories, not cognitive theories. Same goes for the paper’s title. So; there is neuroscience here, but I don’t see that there is cognitive theorizing. Walker & Hickok: No worries re cognitive theories here, because the cognitive theory (the SLAM model of speech production) is plain in Figure 3. So: what about the neuroscience? Is there anything about the design of the SLAM model that was dictated or constrained by neuroscientific data. Not in this paper. Nowhere in the paper do we find statements such as “we made this architectural decision about the SLAM model on the basis of the following neuroscientific considerations . . .”. In sum, I don’t believe that any of these 5 papers show us “success stories in the effort to use neuroscience to constrain cognitive theories”. What to do? Well, this is an important endeavour and it can be sharpened up by two little changes in the rules. First, submitters should be asked to submit references only for primary sources, papers that reported the original cognitive theorizing and neuroscientific data. Second, to assist readers and focus the minds of submitters, the submitters should be asked to include a sentence that specifies what cognitive theory the paper deals with and another sentence that states what relevant neuroscientific data the paper contains. It's not (even) enough to provide what Max asks for, i.e. cognitive theory A and neural data B. To develop a satisfying causal, mechanistic model, one needs to specify the proper granularity of the linking hypothesis and spell out how implementation, algorithm, and computation work together. A high bar. That being said -- there are cool examples that show how neural data contributes decisively to theoretical debates. For example, I am moved by the experiments that Alec Marantz has done on the stature/role/function/"foundationalness" of morphological structure in language procressing. There, for instance, the theoretical debate concerns whether or not morphemes are necessary, fundamental building blocks for language processing (contra to many proposals in psycholinguistics), and Alec provides MEG data (yes, we can point the details, if necessary) that show - I think compellingly - that you cannot have a successful online processing story that doesn't have morphology. Walker and Hickok didn't detail the neuroscience behind the architecture development because I already published three recent papers on that. What do you advise us as a field, Max? Should those of us interested in cognitive science give up doing neuroscience? Or is your interest just in evaluation of where we stand in cog neuro integration? By the way, I suspect if we looked closely at people doing computational neuroscience we would see a lot of examples. But this field is not usually interested in testing one cognitive boxology against another. They are developing their own models (which we could nonetheless compare to existing boxologies) and would be an example of how how neuroscience constrains theory development. It was really a direct response to Henson (my former PhD student!) and, to some extent, Shallice. Given the particular weakness of fMRI, I would like to see a subcategory comprising claims based on fMRI. Like Max, though, I do think it would be helpful to say (i) exactly what cognitive theories were being contrasted, and (ii) exactly what neural data were decisive in this regard. Without these statements, we will have just a list of unevaluated (and difficult to evaluate) claims - rather like the literature itself (though I am a bit out-of-date). In my paper, I discuss dual-route versus single-route theories, so it would be interesting Greig, if you could flesh out your claim as above, so we can evaluate it in regard to the papers you mention. Anyway, perhaps we can make a distinction between different types of "brain" data/manipulation. My bet is that fMRI will be the weakest contributor to theory (and possibly the most expensive :-)). Those papers are certainly two promising candidates. But could you say for each one (a) what the neuroscientific data reported in the paper are that are constraining the cognitive theories and (b) what otherwise plausible lines of cognitive theorising are ruled out by these neuroscientific data? Depends what you mean by “field”, Greg. Cognitive psychology can explore cognitive theories just with behavioural data: brain data not required. Cognitive neuroscience can explore the neural bases of cognition without seeking to use brain data to test cognitive theories: cognitive theories not required. Both are fine and successful enterprises. It is only when they try to speak to each other that the difficulties arise. As you recently tweeted re mirror neurons, an awful lot of junk science emerges when people claim to be doing this. My aim has been to identify unambiguous examples of success stories in the effort to use neuroscience to constrain cognitive theories, by asking people for examples. Have been doing that since 2006. No examples so far. My career doesn't count, Max? Let’s start with a distinction (or choice of battle ground): some cognitive theories explicitly invoke neural mechanisms, and so are more amenable to testing with neuroscientific methods. Dual-process memory theories are one example, as they invoke dissociable neural responses to support putatively specific processes of recollection and familiarity. Embodied language theories are another. (a) Both of the papers employ analyses of fMRI data informed by single vs dual process signal detection model estimates, and show the neural responses are consistent with the former, but not the latter. I think (b) neglects the fact that science often progresses by post-hoc extemporising to derive hypotheses for future studies. Experiments are always designed to rule out a limited set of a priori hypotheses. Any number of “plausible lines of cognitive theorising” can be proposed post hoc, and subjected to later testing with novel experiments. No single experiment definitively falsifies/rules out a theory. I think we all agree that experiments are informative when they test an alternative hypothesis. Too often, the null is tested. When fMRI is involved, that is an expensive waste of time and effort. 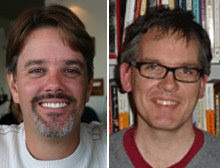 Buchsbaum, B. R., & D'Esposito, M. (2008). The search for the phonological store: from loop to convolution. Cognitive Neuroscience, Journal of, 20(5), 762-778. The above paper proceeds by way of a triangulation method. The phonological store is "placed on the chess board". The pieces are moved about. Finally, the store has nowhere left to go. check mate. Wurm MF, Lingnau A (2015) Decoding actions at different levels of abstraction. J Neurosci 35:7727-7735. Motor theory predicts A but not B, cognitive theory predicts B but not A. Results reveal B but not A, in line with cognitive theory and challenging motor theory. "It is only when they try to speak to each other that the difficulties arise..."
First, lets be honest, most of cognitive neuroscience is "bootstrapped" largely on ideas from cognitive psychology. So the idea that they are separate is not quite right. However, it's true that arise. This occurs to my mind because of a kind of "impedance mismatch" between the domains. As David Poeppel pointed out this is where "linking propositions" are needed. Such propositions allow one to move between concepts expressed at two levels (e.g. mental and brain processes). Example: see Ratcliff's diffusion model applied to both monkey and neuroimaging data of decision making. (a) Is it to use imaging data to decide which of the theories, when considered purely as cognitive theories, should be favoured? (b) is it, as the first sentence of the “Pre-experimental familiarization” paper says, to decide how best to decide between “opposing interpretations of the differential hippocampal activity elicited by studied information”? Both are valuable aims. But only the first is relevant to our discussion. So I focus on that aim. What does this paper provide us with respect to Aim (a)? Well, the end of the Abstract does not seem to say anything about Aim (a); it is about Aim (b) i.e. how to interpret the hippocampal data. If this paper were at least partly about Aim (a), it would have contained a section at the end of the Introduction which states what the different predictions DP and SP theories make re what will be seen in the imaging data, and if the paper wished to conclude that the imaging data favoured SP over DP the Discussion would have pointed to aspects of the imaging data which conflict with the previously stated predictions of DP theory and are in accordance with the previously stated predictions of SP theory. Neither of these things is in the paper. That is why the paper is in my view not about Aim (a). What about the “A Matter of Confidence” paper? Is it about Aim (a) or Aim (b) or both? The first paragraph states the DP and the SP theories in purely cognitive terms (and also distinguishes between two variants of DP theory). However, the last sentence of the Introduction states the aim of the study as evaluating previous attempts to dissociate familiarity and recollection signals in the hippocampus and perirhinal cortex (the first sentence of the Discussion is similar). No contrasting predictions from the DP and SP theories about the outcome of the imaging experiment are stated in the Introduction. I can’t see anything in the Discussion or the Summary that says anything like: these results are inconsistent with predictions from the DP theory as it is defined in the first paragraph of the paper. The Discussion is largely about Aim (b). So it seems to me that, interesting though both these papers be, neither pursues Aim (a) and so neither is an example in which cognitive theorizing has been constrained by neuroimaging data. On which pages of the paper are these two theories described? And are both theories cognitive theories? They have to be if this paper is to be relevant to this blog, because the topic of the blog is the constraining of cognitive theories by neuroscientific data. On my first reading of the paper, the two theories you have in mind are not cognitive but neural. One theory says that premotor cortex is critical for action mappings and the other says instead that regions such as LOC are what's important. Those are neuroscientific theories, and it would not be surprising to find examples where neuroscientific theorising has been constrained by neuroscientific data. What we are looking for instead are examples where cognitive theorising has been constrained by neuroscientific data. You are right, in the paper we focus on the neural aspect of the theories. But the underlying concepts are cognitive/psychological: motor theories of action understanding can be summarized as theories that claim an internal motor simulation of an observed action in order to access the meaning of the action (simulation theory, mirror theory) or that the conceptual meaning of an action is "grounded" in, i.e., associated with, the observer's own motor repertoire (some embodied theory accounts). Cognitive theories of action understanding claim that action understanding builds on perceptual analysis without the need of motor reenactment. In short, these two psychological theories make claims about distinct systems required for action concept access (motor system vs. perceptual system) that can be translated into concrete neuroanatomical predictions. Note that the case might be less straightforward than I present here. For example, in motor theory action understanding of course requires a perceptual analysis as well. But the generalization to abstract action concepts is claimed to take place in the motor system (which makes only little theoretical sense to me, because these representations cannot, by definition, be motor anymore). Other accounts (e.g., strong embodied theory) assume that action recognition requires no concept access at all, simulation of the concrete observed action is fully sufficient. This account can be refuted because we do find evidence for abstraction. For a more comprehensive analysis, check out Greg's excellent book, The Myth of Mirror Neurons. In summary, I hope I could convince you that the theories we tested in our study are in fact psychological theories that assume distinct cognitive models of action recognition and understanding. These cognitive models can be formulated as neurocognitive models, at least for human cognition, as humans have brains, which is the substrate of cognition. I am curious to hear your opinion on that! Theory A: Action understanding uses an internal motor simulation of an observed action in order to access the meaning of the action. Theory B: Action understanding builds on perceptual analysis without the need of motor reenactment. I agree with you that these are purely cognitive theories. And also, importantly, they are logically incompatible: at most only one of them can be true. So: what is the prediction from Theory A that your data conflict with, and what is the prediction from Theory B that is confirmed in your data? you asked "what is the prediction from Theory A that your data conflict with, and what is the prediction from Theory B that is confirmed in your data?" As I wrote, in Theory A "the generalization to abstract action concepts is claimed to take place in the motor system" --> We should find evidence for abstract action representations in or close by premotor cortex but not in occipitotemporal cortex. Theory B predicts the opposite: The generalization to abstract action concepts should be observed in or close by occipitotemporal cortex but not in premotor cortex. The latter is exactly what we found. In my earlier response, I distinguished cognitive theories that explicitly invoke neural mechanisms, so “when considered purely as cognitive theories” is an obvious interpolation designed to constrain the argument to suit a functionalist perspective. That is a misrepresentation. Below are those statements, faithfully reproduced. “No contrasting predictions from the DP and SP theories about the outcome of the imaging experiment are stated in the Introduction... I can’t see anything in the Discussion or the Summary that says anything like: these results are inconsistent with predictions from the DP theory"
Again, that is a misrepresentation. Perhaps some confusion has arisen because I used “memory strength account” synonymously with “single-process theory”, although in my defense this is relatively common in the literature. Your theory has an embedded neural prediction (i.e. the brain areas). It's a linking hypothesis from the "cognitive" to the biological domain. By making contact with the physical universe (how dare you! ), you've given up the cognitive "purity" of your test. I don't think Max is going to accept this line of argument. Hehe, well let's see, Brad! Remember, the question was "can neuroscience inform cognitive theories?" So let's see: "pure cognitive motor theory" claims that action understanding relies on the observer's own motor repertoire. I could test this, e.g., by testing if the absence of motor experience results in an impairment of action understanding. And let's assume that this is the case (it is not, by the way). Is there now a conflict with "neurocognitive motor theory" (action understanding relies on motor representations in premotor cortex)? Does my neuroimaging study influence the interpretation of the psychological study? I would say yes: whatever happens in premotor cortex, it is not the access to the abstract action concept. Maybe we can use our own motor system to simulate the concrete observed action and to predict its outcome, and this could facilitate the access to the concept. But the concept seems to be more associated with the perceptual system, not the motor system. We know this thanks to my study. --> Neuroscience informed a cognitive theory. Psychologist therefore should read my study, and actually they do. By the way, needless to say that I should also check out the psychological studies to inform my hypothesis space. Actually, I would frame it a bit differently. There is no "cognitive/psychological motor theory" and, detached, a "pure neurocognitive motor theory". There is only one motor theory. But we can formulate distinct psychological and neuroscientific predictions. Testing this predictions will inform the theory. Notably, the results of the psychological and neuroscientific studies should not contradict each other, otherwise there is something wrong with the formulation of the distinct predictions (do not properly target the theory) or with the experiments (do not test the predictions). here is another example in a different domain. our fmri study http://www.antoniahamilton.com/WangRamseyHamilton_JNSci_2011.pdf used DCM to test how a social cue (eye contact) modulates visual -> motor processing. Heyes 2011 (http://www.ncbi.nlm.nih.gov/pubmed/21280938) makes the strong prediction that the direct visual->motor coupling is NEVER modulated, but only the inputs to / outputs from this coupling are modulated. Our paper tests 12 DCM models including 4 in which there is visual-motor modulation (4 anti-Heyes models) and 8 in which there isn't (pro-Heyes models). It turns out that one of the pro-Heyes models wins. But this paper gives an example where a DCM study can directly test a clearly specified cognitive model. I've tried to argue this one with Max before and I don't think he was convinced, but I'm putting it up here as another example of how fMRI with DCM really can tell us about information processing models. Thanks for hosting this discussion! I think Max is to be applauded for asking this question repeatedly and critically reading neuroscience papers claiming to evaluate cognitive theories. Despite being a cognitive neuropsychologist, I'll give it a shot. Many single case studies in cognitive neuropsychology formulate an alternative position in their introduction to provide the theoretical background for the null hypothesis. For example, Miceli and Caramazza (1990) observed that letter substitutions of a dysgraphic individual, LB, were constrained by C/V status. This result supports a model representing C/V status in addition to letter identity and letter position. A single case study was sufficient to rule out an alternative model not assuming additional representations in the orthographic system. Suppose that a patient with a large left hemisphere stroke with extensive perisylvian lesions was able to carry out auditory lexical decisions and exhibited functional activation in right hemisphere homologues of 'language areas' (not going into the details here). Wouldn't that lead us to the conclusion that a mental input lexicon was located in both hemispheres compatible with Hickok and Poeppel (2007)? Couldn't we rule out a cognitive model assuming a single input lexicon? The logogen model, while not making any claims about neural implementation of the different modules, would be an example of such "single lexicon only" models. Within a cognitive setting, we would perhaps never even consider introduction of another lexicon – why assume two input lexicons? Within a purely cognitive setting, this would not be a theoretically parsimonious model. Based on anatomical (and, perhaps, functional imaging) data we would reject "single lexicon only"-type of models. In Wurm & Lingnau (2015), observers passively watched videos of actions performed while fMRI data were recorded (with occasional catch trials: Ss had to respond if something additional happened after the action). We’ll assume that this task engages the action understanding system. The actions were such that they could be encoded at 3 levels: at a purely concrete level (open a wine bottle), at an intermediate level of abstraction [open a bottle – any kind of bottle], and at an abstract level [open a receptacle – any kind of receptacle]. MPVA was used to measure the degree to which different brain regions encoded information at each of these three levels. (i) that intermediate and abstract levels of representation will be encoded in ventral premotor cortex (mPV). (ii) that intermediate and abstract levels of representation will not be encoded in lateral occipitotemporal cortex (LOTC). (i) that intermediate and abstract levels of representation will not be encoded in mPV. (ii) that intermediate and abstract levels of representation will be encoded in LOTC. Which of these assumptions is supported by empirical data and what are those data? if I get your point correctly, you pick up Brad's point. You ask for the nature of evidence that establish the links between cognition and neuroanatomy. The answer is clear (neuroscientific evidence). Does this show that I was wrong (neuroscience cannot inform cognitive theories), because testing the cognitive theories neuroscientifically builds on assumptions that were derived from neuroscientific experiments? If you say yes, could it be interesting to ask "Can psychological experiments inform cognitive theories"? Would we have the same trouble because testing the cognitive theories psychologically builds on assumptions that were derived from psychological experiments? Clearly the bridging assumptions that enable predictions to be made about neuroscientific data from cognitive theories have to be derived from neuroscientific research. Nothing wrong with that. Sorry if I didn't make my views clear. What I meant was: what are some actual neuroscientific studies that support the view that whenever internal motor simulations of actions is carried out, even those as abstract as simulating the opening of some receptacle no matter what that receptacle is, mPV is obligatorily engaged, whereas LOTC is never engaged. Even if there are no such studies, as long as these assumptions are made explicit we can then see how the neuroscientific predictions were derived from the cognitive theory. If there is neuroscientific evidence to support these assumptions, that greatly strengthens the conclusions of the study, of course. Re Antonia's post of September 29: Yes, she and I had an amiable discussion about this paper four years ago but did not reach any common ground. However, I do think it is a good paper to discuss in this forum. The paper's Abstract states the conclusions thus: "Results supported a model in which eye contact controls mimicry by modulating the connection strength from mPFC to STS". Out like that, the conclusions of the paper are about the brain, not cognitive theory. However, if in this sentence "mPFC" were replaced by some cognitive term describing what the cognitive process is that is involved in mimicry and which is implemented in mPFC, and if the same can be done with the term "STS", then the sentence would be expressing a cognitive theory. Thank you for your clarification, Max. Here is a quote from Rizzolatti et al, Physiol Rev, 2014: "In fact, crucial for action understanding are those areas that contain neurons that encode the [action] goal with a high degree of generality. With the problem posed in these terms, the evidence shows that generalization is an aspect that characterizes the parieto-frontal mirror network rather than STS [LOTC] neurons." The reverse stance can be derived from e.g. Hickok, 2014; Watson & Chatterjee, Neurology, 2011 (high generality in LOTC) and Cook & Bird, Cortex, 2013; Kilner, TICS, 2011 (no high generality in PMv). One aspect should be clarified here. Rizzolatti et al. 's claim refers to generality across effectors (e.g. picking up a raisin with the hand or the mouth). However, there is the possibility of confound by the concrete object involved in the action. Generality across objects has never been considered so far, but I think that this kind of generality is crucial for action understanding (the understanding of "eating" should be independent of whether I observe someone eating a raisin or a banana). This issue is discussed in more detail in Wurm et al., Cereb Cortex, 2015. Some useful discussions with Moritz (thanks, Moritz) have led to what's below. In my opinion in any studies aiming to use neuroscientific data to constrain cognitive theorising, spelling out in this way the specific bridging assumptions that are needed to generate the neuroscientific predictions from the cognitive theories should always be done. And it is also essential to specify, for each theory, what results the study could yield that would be in conflict with the theory (not just consider results that would be consistent the theory). There are two cognitive theories of how action understanding works. 1 (a): Theory A: Action understanding uses an internal motor simulation of an observed action in order to access the meaning of the action. 2(b): whenever any kind of perceptual analysis is being used that might be relevant for action understanding, even understanding actions as abstract as simulating the opening of some receptacle no matter what that receptacle is, LOTC is obligatorily engaged as indicated by encoding of intermediate and abstract levels of representation in MVPA analysis, whereas PMv will not show such encoding. Evidence that perceptual analysis of action-relevant information does engage LOTC but not PMv is provided by e.g. Beauchamp et al, Neuron, 2002. (ii) no engagement of LOTC. (ii) no engagement of PMv. Wurm & Lingnau (2015) confirmed both of the predictions from Theory A and disconfirmed both of the predictions from Theory B. There is only behavior which can be measured on different "levels". No mind, no brain as the cause of the mind (as there is no mind). We just model behavioral data from differents sources. Brain behavior is evidently more interesting than liver behavior with regard to observable human behavior. In cognitive psychology (i.e. psychology in terms of cognition theory) we agree on the acceptance of latent (unobservable) cognitive structures and processes for theoretically modelling behavioral data (no cognition exists, it's epistemic). Behaviorists call this mentalism or the unnecessary doubling of the world. My opinion: If data from the neuronal "level" can be modelled together with data from the organism-environment-interaction level in a meaningful way - nice! Whatever the brain contributes to psychology - no doubt that, reversely, the so called "cognitive" concepts are capable to model neuronal behavior, e.g. fMRI data. In fact, brain scientists learn far more about their topic by applying cognitive psychology/concepts/methods than vice versa psychologists learn about human behavior (and experience) by applying fMRI and others. Cognitive neuroscience aims at the psychological characterization of brain structures and processes - not at a neuronal characterization of human behaviors/experience.